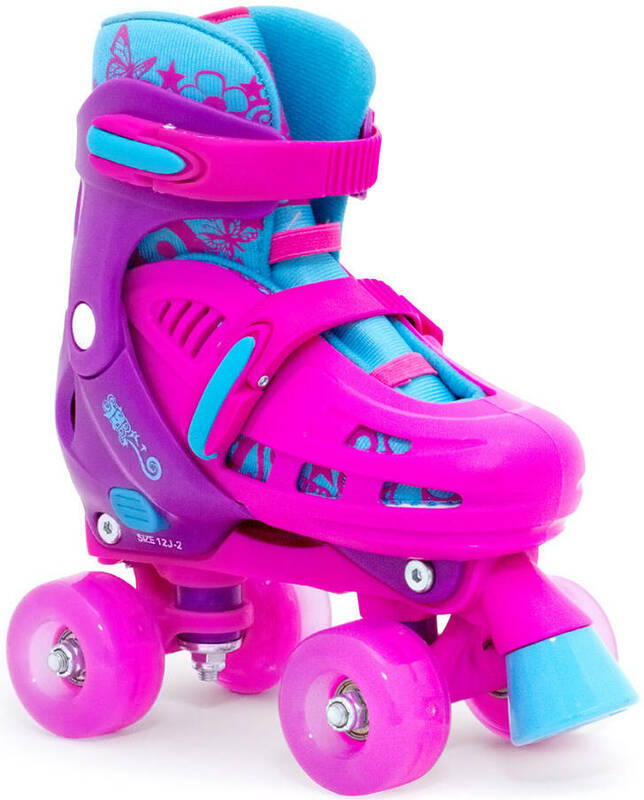 Size adjustable roller skate in a light weight design. The brake in front makes it easy to get a foothold if you are not trained. Safety buckles and no laces for easy access. Solid P.U. wheels for long lifespan. 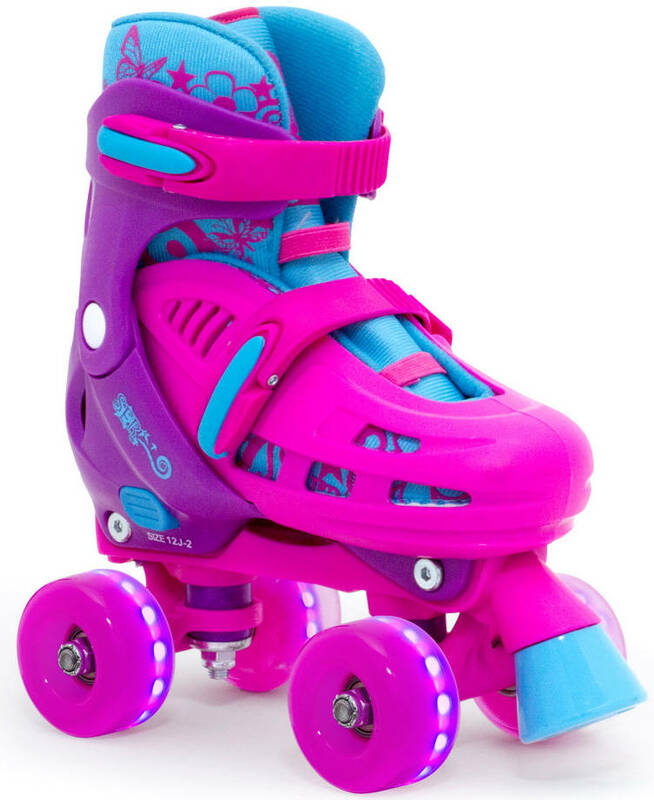 The wheels have built-in lights that light up when you roll on them. Notice: Small in size. We recommend you choose about 2 sizes larger than your normal shoe size. 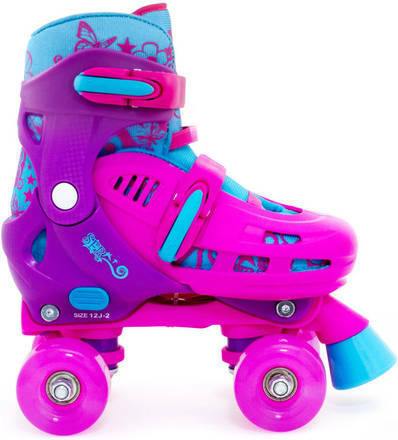 I bought these skates for my granddaughters birthday and I am very pleased with the quality. Her birthday is next week so I can’t comment on their use as yet but I’m sure they will be a winner!